I am always looking for educational games that the kids will like. Okay, what do kids love? Music- check. Running around- check. 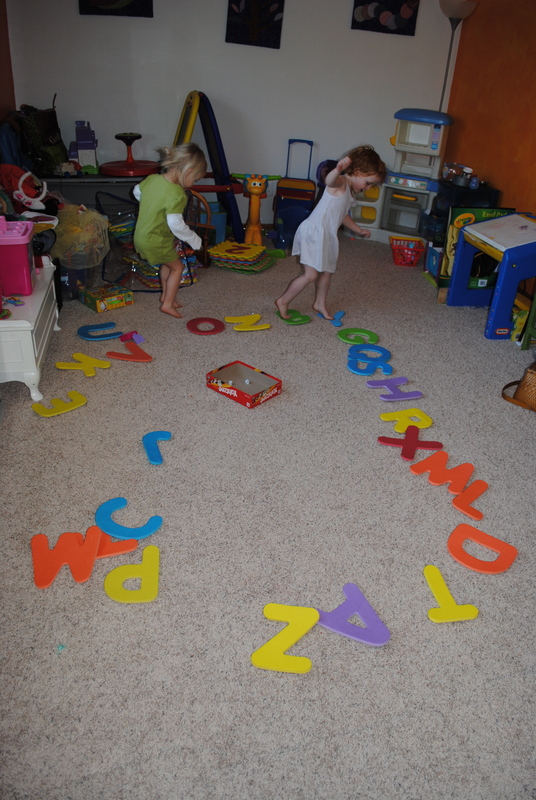 I have done this game before by putting tape on the carpet but decided to take a lot of work out of the equation and used letters we already have. 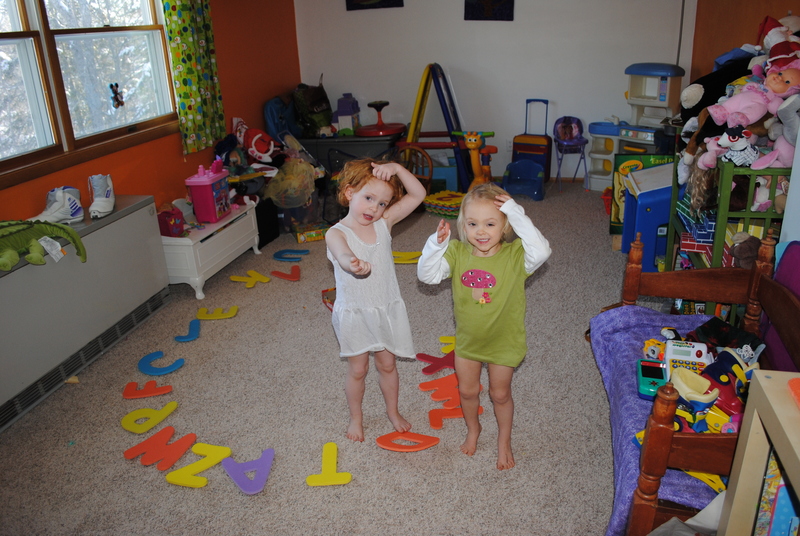 The girls have a couple different versions of this game we play. 2. 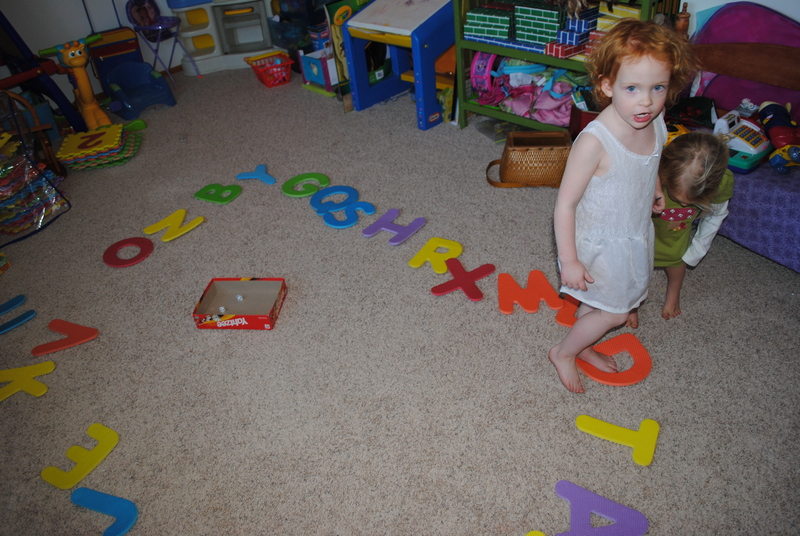 Mix up all the letters in a pile and they need to sort out the letters out in their proper order, A- B-C…. 3. Take the letters and place them on things around the room that start with that same letter, put the letter W by the Window. I think there are a few other random varieties of this game but you get the general idea of it. Letters, fun, learning etc.